Blender Power! You've probably seen the flier of a high power blender along with up to 50 vignettes of items that could be made in seconds--from smoothies to soups to peanut butter to ice cream and more. When I looked over the flier in the mail, I could appreciate the ability of having a juice with all the fiber included. So, I bought the powerful blending 10-appliance machine and have never regretted the purchase. I use it every day. It whips up waffle and pancake batter in a matter of seconds. Gravies are silky smooth. Soups are friction heated without losing valuable enzymes which are destroyed with cooking. The variable speed allows me to chop or puree. I can make bread, using the dry blade container. The wheat berries turn into flour. I add the rest of the ingredients and with a pulsing action the dough is kneaded and ready to pour into a prepared bread pan to bake after a little rising period. I call that blender power! I take my blender with me when I go camping and make up quick wholesome meals in my mobile kitchen. What I do is blend up the dry ingredients before-hand and then just add in the liquids for – presto! 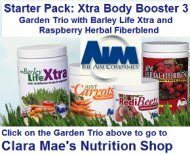 – instant whole food meals! If you do a search on the web for the most desirable blender I am confident that you will find that the Vitamix out-scores all the others. 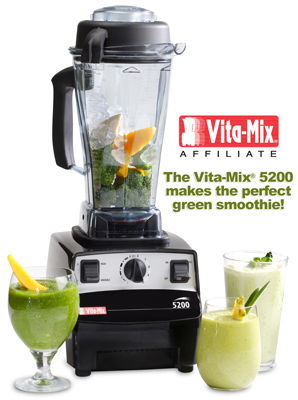 Vitamix has been in business for over 75 years and can be ordered in most countries in the world. It is designed and built to last. Vitamix users are the most loyal blender users you will find anywhere... they come together to celebrate this diverse machine with recipe videos made by top chefs, Raw Food gurus, and kitchen divas just like you and me! Go here and see for yourself all the things that this muscle-bound blender can do! Please note that we are affiliates for many of the products advertised on this site. This means that when you purchase an item from any of our affiliates--Amazon, for example-- we will receive a small commission. We appreciate your business!